Tan y Coed Picnic Site at Dyfi Forest (NRW)0300 065 3000workPicnic SiteThe Tan y Coed Picnic site is located amongst beech woods and is the starting point for two woodland and riverside walks along the stream of Cwm Cadian. For families, there is an animal puzzle trail and a free leaflet is available on site. 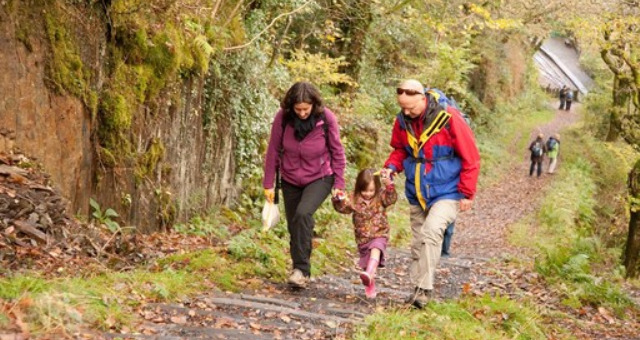 Cwm Cadian Trail (1 mile, 1.6 kilometres). Animal Puzzle Trail (1 mile, 1.6 kilometres; same route as Cwm Cadian Trail). The Animal Puzzle Trail leaflet gives clues to help children find the hidden animals in the woods along the Cwm Cadian Trail. Leaflets are available from a dispenser in the car park. Tan y Coed Trail (1.5 mile, 2.5 kilometres). The Tan y Coed Picnic site is located amongst beech woods and is the starting point for two woodland and riverside walks along the stream of Cwm Cadian. For families, there is an animal puzzle trail and a free leaflet is available on site.